This entry was posted in My cup of tea and tagged aroma, beijing, book lovers, books, bookworms, chinese tea, Citations, habits, hobby, reading, tea, tea lovers, writing by Anita Bacha. Bookmark the permalink. Yes. Tea and the Book go together well. Tea is your energy. Book is your Escape world. 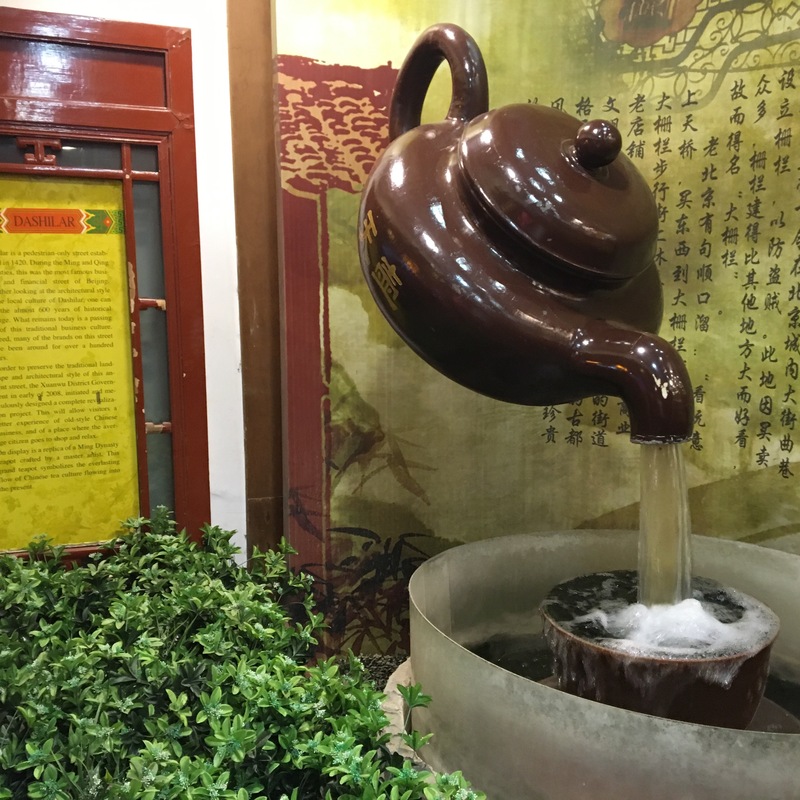 Thank you 😊 I captured this huge teapot with my iPhone 📱 in Beijing. I was going to ask where it was. I could see what I suspected to be Chinese writing on the wall. The phone takes really nice pictures.